Kagbhushundi Tal is a small, beautiful triangular in shape lake (Tal) with clean greenish water in the lap of Himalaya at an elevation of 4345m above the sea level. Karnkul Khal (Pass), 4630m above sea levels is the gateway for this lake. This holy lake is 500m long and 250m wide. So many huge peaks encircled it gracefully and increase its enchanting beauty. 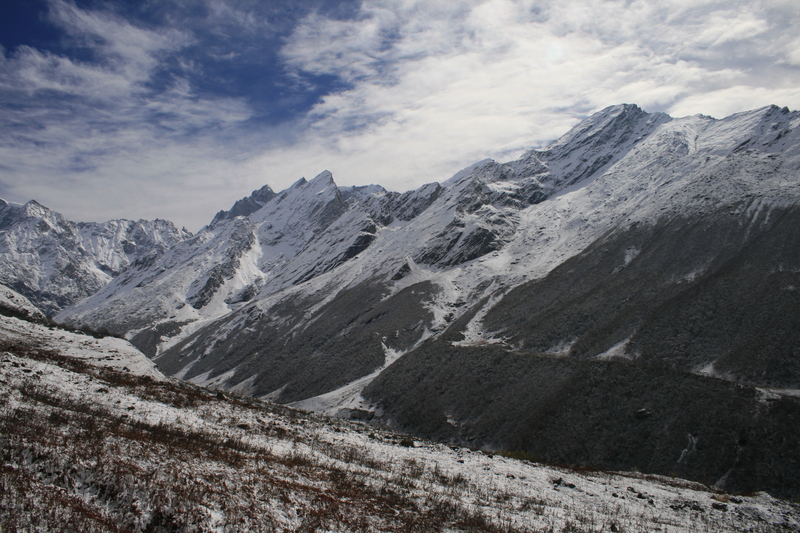 One can view Neelkanth, Hathi Peak, Chaukhamba, and Nar-Narayan Peaks while moving towards the Kagbhushundi Tal. This lake is decorated by a lot of beautiful, wild, high altitude flowers in the month of July to September, with enchanting beauty and with some of the wildest profusion of colors and make one to forget the pain of the trek. There are two trek routes for this lake. 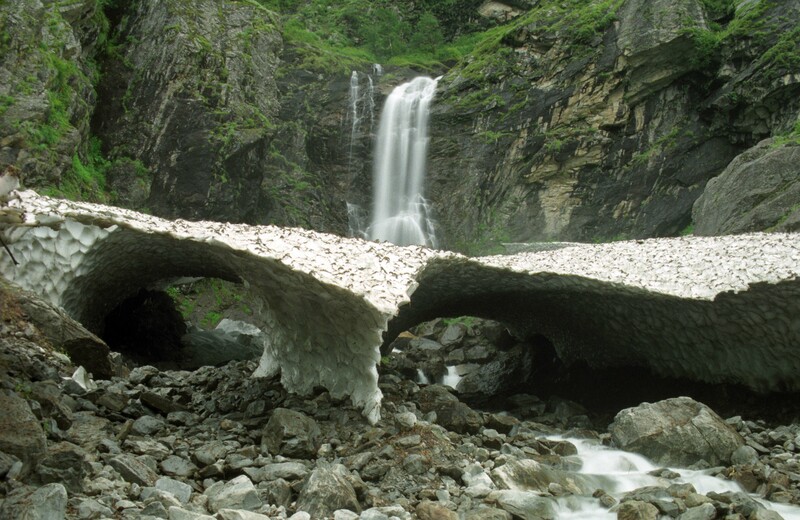 Both the Treks are very popular and provide a panoramic view of the Garhwal Himalaya. One from near Vishnu Prayag via Painka village and another from Govind Ghat via Bhyundar Village, in route to World Heritage site “The Valley of Flowers”. 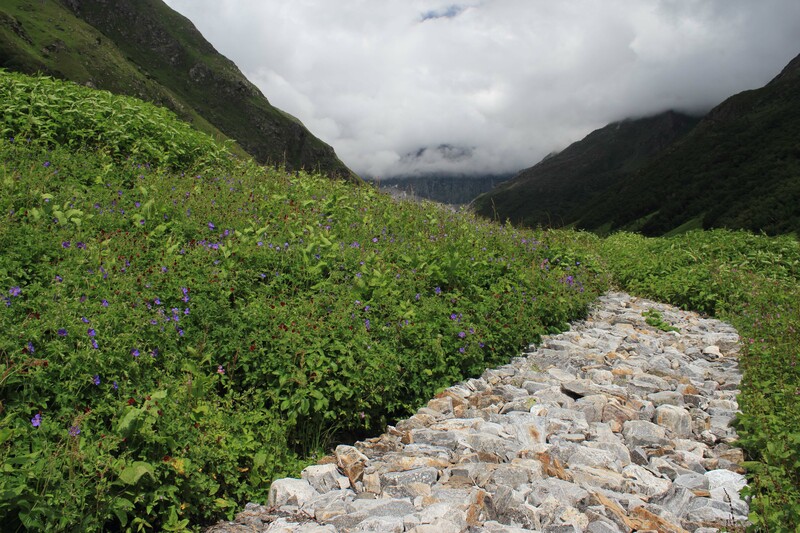 The trek bifurcates at Bhyundar Village and the left one creep towards The Valley of Flowers and the right one towards the Kagbhushundi Tal along with the right flank of river Karnkul Ganga that originates from a glacier near to Raj Khark. 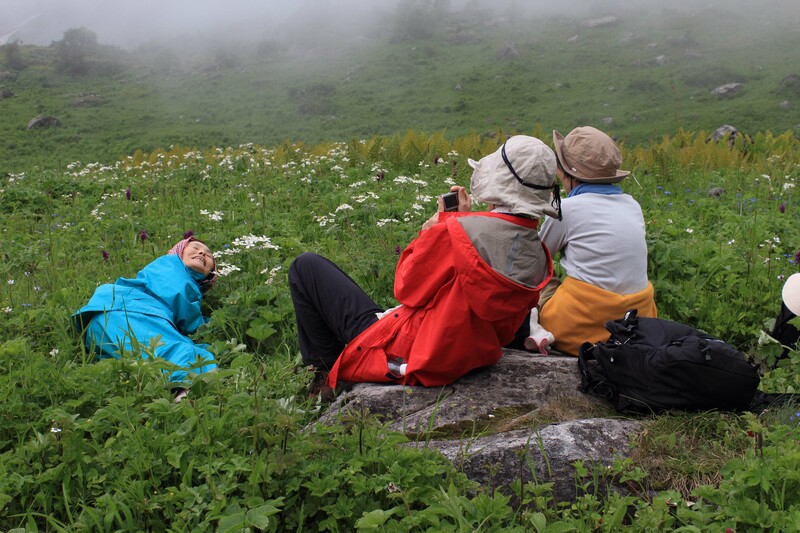 There are so many beautiful meadows in route to Kagbhushundi from Bhyundar. Kargila, Semartoli, Bankbara, Dang Khark, and Raj Khark are the most beautiful campsites for shepherds and for the trekkers. As areas of the National Park do not allow now grazing in near, so the whole grazing activities are now shifted towards this Kagbhushundi valley. So, the livestock of nearby villages use this area as pasturelands. Plz inform for these treks. Simartoli to Rajkharg [ 5km trek]. Rajkharg to kagbhushandi – Rajkharg [ 8km ]. Transport from ex Joshimath as per itinerary. Conservation permits and fees as applicable to foreign nationals. Porters / Mules for trekking soft luggage . Trekking crew charges (attractive salary and wages), equipment charges and other facilities to Uttarakhand trekking staff. Insurance for the guide and porter. All charges for tents, sleeping bags, mattress, kitchen tent, camping tools, etc. Travel Insurance and / or any other kind of insurance. Cost for changes in travel plan or accommodation due to any reason. Costs and expenses for medical treatment in case of evacuation or in case of any emergency or otherwise for any reason. Meals – other than breakfast lunch and dinner as indicated in the itinerary above. Mineral water and other beverages / drinks. Any kind of personal expenses / bills. Additional porters (if hired on treks) for personal luggage / equipment or any other transport not covered in the itinerary / price inclusions. Anything which is not specifically covered under price inclusion.